10 x 14. 2014. Graphite, ink, and acrylic on paper. Graphite and Oil on Oak Panel. 24x36". 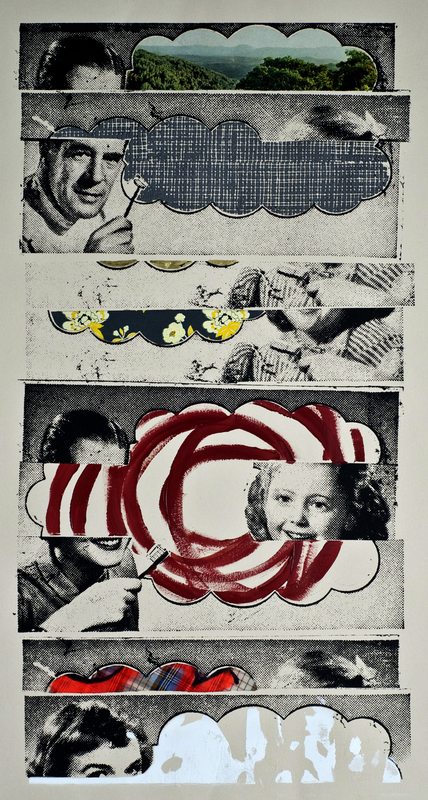 2013.
screen print, collage, transfer on paper. 11x14 in. Graphite on Paper. 2011. 30x50"